Asquith Soccer Club has a successful history with our Women’s Teams. 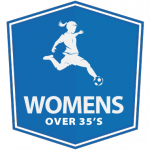 We currently field a team in Women’s Over 35 and would like to form an All Age team in 2015. Our women’s team is a very friendly and diverse group. Anyone is welcome to join regardless of fitness, experience or knowledge of the game. Teams are allocated space at a time which suits the coaches and players.